A couple of the things that make Toyota a standout brand are the reliability and versatility that their vehicles boast, and the 2018 Toyota Camry is no exception. Here’s how the 2018 Camry stacks up against one of its competitors, the 2018 Honda Accord. Don’t underestimate the 2018 Toyota Camry. It packs quite the punch under the hood, with an engine that delivers 203 horsepower and 184 lb-ft of torque. While the 2018 Honda Accord isn’t too far behind, it still holds back a little on power, with 185 horsepower and 181 lb-ft of torque. Once you get into upper trim levels, the Camry can offer you even more, with a V6 engine that delivers 301 horsepower versus the Accord’s top 278 horsepower. Both the 2018 Camry and the 2018 Accord boast plenty of efficiency. The Accord delivers 27 mpg in the city and a decent 36 mpg on the highway. * It’s hard to believe that the Camry can beat this, but it can! The Camry delivers an impressive 29 city mpg and jaw-dropping 41 mpg on the highway. ** Even the Honda Accord can’t top that. Who says you can’t have luxury on the inside of your sedan? While the 2018 Camry and 2018 Accord both offer comfortable and tidy interiors, the Camry outshines the Accord with all-around soft-touch materials. The Camry also has a bonus that the Accord doesn’t: bold and bright interior colors on higher trim levels. When it comes to tech elements, the 2018 Camry and the 2018 Accord are pretty evenly matched. They both come standard with a 7-inch and 8-inch display screen, respectively. The Camry does have one advantage when it comes to this infotainment system – it comes standard with a touchscreen, unlike the Accord. The 2018 Toyota Camry has a tough competitor in the 2018 Honda Accord – but it still boasts a certain unique Toyota quality that makes it the ideal sedan. 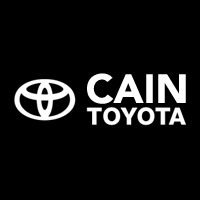 Check out the all-new Camry today at Cain Toyota. **2018 EPA mileage estimate. Actual mileage will vary.